Vegetarian Faerie In The Kitchen. 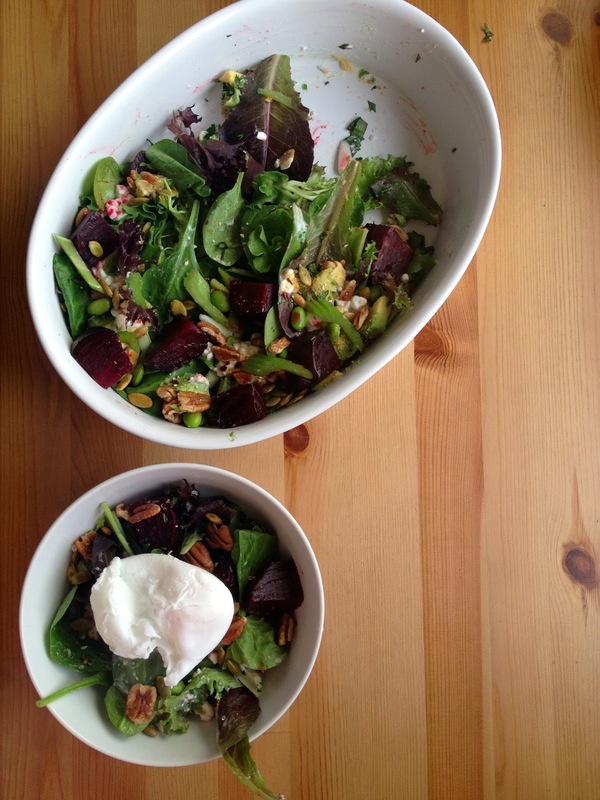 : Roasted Beet Salad with Yoghurt Tahini Dressing. 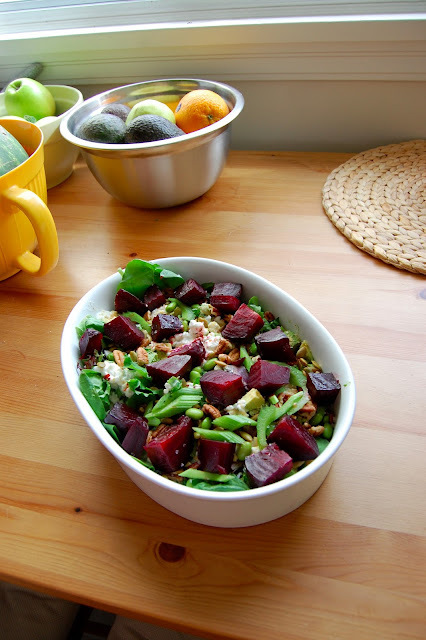 Roasted Beet Salad with Yoghurt Tahini Dressing. THUS I've been trying to cut out bready stuff. Which is basically like trying to cut out your soul mate. I did an ALL juice cleanse for almost 5 days. The main problem was that I..... like food. And Eating. And eating food. Also, I don't drink liquids quickly. I'm that person standing at the bar, smiling awkwardly, sipping her jagerbomb because chugging it is just out of the question. Anywho. I lost 3 kilos and felt a lot better by the end of it, less bloated and with smoother skin. Would I ever do it again? Hmmmm debatable. At some points I was on the verge of tears. But maybe that was the lack of toast talking. This was the first meal I made after the cleanse. It was brewing in my brain for 4.5 days. Toss all salad ingredients together in a big bowl. Mix all dressing ingredients together, taste, season to your liking. Serve drizzled with dressing and a perfectly poached egg on top! Go forth and eat, my vegetable cherubs! I'm with you on juice cleanses. I could never make it for 5 days, but I've survived a one-day juice fast and thought I was going to die. That being said, after NOLA Veggie Fest this past weekend and my upcoming trips to Portland (for Vida!) and Bonnaroo (4-day music fest with lots of beer! ), I may need a juice cleanse.